A crushed ice tray by Rabbit. Don’t have an icemaker that makes crushed cubes? An online retailer of specialty barware and accessories is now selling trays to help home bartenders fill their glasses with tiny, perfectly shaped blocks. 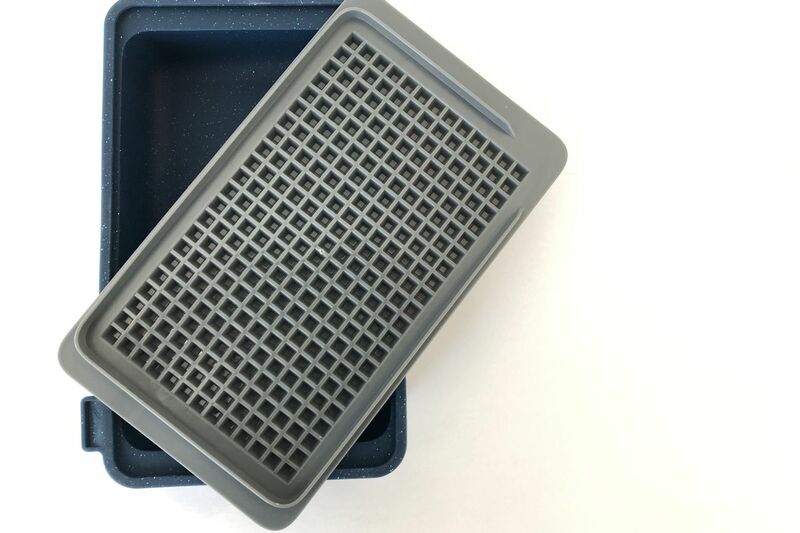 Rabbit, a Seattle company that offers everything from beer growlers to high-end corkscrews, launched the crushed ice tray this week. It comes with three separate trays that stack in the freezer to make several sheets of ice at once, plus a flexible silicone base for storing the crushed cubes once they’re frozen. Crushed ice cubes are ideal for drinks such as juleps, Moscow mules, and some rum cocktails and spritzes. Rabbit offers an array of other specialty ice tools, including silicone trays for spherical cubes and freezable whiskey glasses. It also sells an insulated tray designed to freeze crystal-clear ice, just like the cubes in some cocktail bars. Rabbit crushed ice cube tray, $15 at rabbitwine.com.